Now begins Round 2 of my cancer fight. I have joined a clinical trial of a drug that has shown promise in at least temporarily keeping the bad stuff at bay. This will require traveling -- weekly at first, then every two weeks -- the 135 miles from my home in Washington, D.C., to the University of Pennsylvania campus in Philadelphia. The standard first-line treatment for my cancer -- cholangiocarcinoma, or cancer of the bile ducts -- is chemotherapy consisting of gemcitabine and cisplatin. There is no standard second-line treatment. Different doctors said different things about my response to “gem/cis,” but Jacqueline -- my wife, chief advocate and one-woman research staff -- and I refer to it as mixed. The main liver tumor stayed more or less stable, but the cancer metastasized to my left thighbone and my spine. Because of those metastases, my main oncologist recommended against the targeted radiation treatment we had hoped to try next and encouraged us to get into a clinical trial of an experimental drug. I was all set to join a trial being run by the National Cancer Institute at locations including two close to home: Sibley Memorial Hospital, the Johns Hopkins affiliate where I’m receiving most of my care, and nearby Georgetown University Hospital. 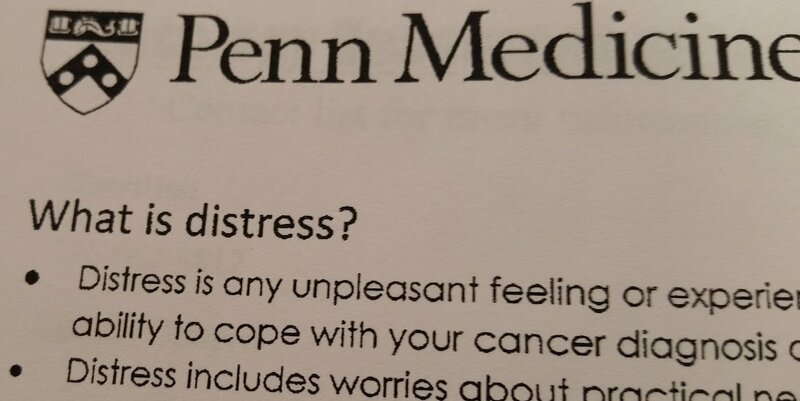 That trial would have been a fine choice, but toward the last minute Jacqueline and I decided to pursue the Penn option, which is more specifically geared toward my rather rare situation. There are about 2,500 new cases of bile-duct cancer every year in the United States. That’s one person in 100,000. Ain’t I special? But I get special-er. I have the intrahepatic form of the disease, with tumors contained within the liver, which accounts for about one in 10 cholangio cases. And there’s more! Part of the modern treatment strategy, insofar as one exists, is to have a tumor sample tested for genetic mutations. I was lucky(!) to come back positive for the FGFR2 mutation, which in its fusion form (there is also the amplification form) is found in a minority (somewhere between 9 percent and 30 percent) of intrahepatic cases. Jacqueline found that the drug company behind the Penn trial had seen enough encouraging signs in patients with my subtype of my mutation in my subtype of my cancer to break out an arm of a larger study to look at just my situation. While all that may sound swell, the fact is that this is an incurable disease. All the chemotherapy and radiation and experimental drugs and targeted genetic therapies and immunotherapy and even surgery (not even an option for me, now or probably ever) serve only to buy months or maybe, just maybe, years. 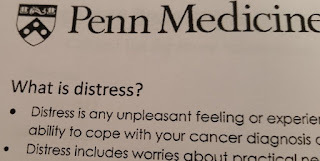 Now, there are some signs that my mutation points to a more “indolent” form of the cancer, a bit of potential good news that I’m happy to hold tight, and maybe that means I get more time than most to kick the can down the road, as Jacqueline and I say. Better than kicking the bucket. But I’m still standing. I’ll take three pills a day for the trial, and have plenty of blood and urine tests and EKGs, but the first scans of my innards won’t be until the eight-week mark, and my doctor at Penn cautioned against expecting to see much of a change, though she was optimistic about the possibility of a “boring” but encouraging result: a tumor that stayed the same size. “We don’t have magic pills,” she said. “But I specifically requested the magic ones!” I replied. Here’s hoping for at least a tiny bit of magic. And maybe some Philly cheesesteaks and hoagies and roast-pork sandwiches. Good luck, Bill. I'm pulling for you. I'm going to go ahead and hope for a whole lot of magic. Good luck. Bill, we all love you. Hang in there. Please. Hoping for the very best of outcomes for you, Bill. Wishing you all the best. The trials work for some, may it be so for you! I wish I could do more than simply encourage you to keep fighting. But please do. Please do. Sending you good thoughts and wishes from Alaska. Thanks for posting the update, Bill. Sending you magical Philly cheese steaks (from NJ). Keep kicking that can down the road, Bill.